Let's start with a case..
HPI: 41 year old male with no PMH presents to ED for sore throat and fever measured at home for 3 days. Patent was seen at urgent care yesterday and was prescribed azithromycin and prednisone for pharyngitis. Today patient started complaining of swelling in his throat and difficulty breathing so came to the emergency department for evaluation. No cough, chest pain, abdominal pain, nausea, or vomiting. No allergies, new food, or new medication. Physical Exam: “Erythematous pharynx with elongation of the uvula. Muffled voice. Tender anterior cervical adenopathy”. Otherwise unremarkable exam. Management: Treatment consists of three parts: airway, antibiotics, steroids. The first priority is protecting the airway. The swelling can cause airway obstruction; therefore prophylactic intubation is frequently performed. Because intubation can be difficult, the safest approach is to perform it in the operating room with surgery on standby if an emergency surgical airway is needed. If this is not an option, the safest approach is to perform an awake intubation. During an awake intubation, the patient is consciously sedation but because they are not paralyzed they maintain their respiratory drive. Therefore, if the intubation is unsuccessful, they can continue to maintain their respiratory drive. Patient should then be started on empiric combination therapy with a third generation cephalosporin (ceftrimraxone, cefotaxime) and staphylococcal coverage with strong consideration for MRSA coverage (clindamycin, vancomycin). Corticosteroids such as dexamethasone are frequently administered and have been show to decrease length of stay in the ICU and overall. Patient's course: Awake intubation was attempted in the emergency department by the ED attending. Below is a short clip of what was seen on video laryngoscopy. Even after multiple attempts, awake intubation was unsuccessful so patient was taken to the operating room for fiberoptic intubation with surgery on standby. The patient was successfully intubated and started on Clindamycin, vancomycin, and Decadron. The patient was successfully extubated 2 days later, down graded to a regular floor, and discharged home 2 days later on oral antibiotics. Patient was doing well at one month follow up. The left ventricle (LV) is widely studied and much is known about its normal function, how it performs under stress, and the causes, sequelae, and treatments of LV failure. On the other hand, much less is understood about the right ventricle (RV), including right ventricular failure (1,3). There are many causes of right ventricular failure, the most common being failure of the left ventricle, but one important condition to always consider is pulmonary hypertension (PH), defined as a mean pulmonary artery pressure of 25 mm Hg or higher (1). As pulmonary pressures rise, the increase in afterload on the RV decreases right ventricular stroke volume and output, increasing RV volume. Since the RV cannot adapt as rapidly as the LV to increases in afterload, this has several detrimental effects on the cardiovascular system. First, the increased volumes and pressures in the RV causes bulging of the interventricular septum into to LV, decreasing left ventricular preload. This results in a decrease in cardiac output, leading to hypotension and cardiac ischemia (1,3). Second, increased pressures in the RV cause a rise wall tension, decreasing right coronary artery perfusion, which leads to further ischemia. (1,3) Finally, increased pressures in the RV cause tricuspid regurgitation leading to decreased cardiac output (2). All of these processes ultimately cause what is referred to as the right ventricular spiral of death. As always, the first step is considering the diagnosis. The most common presenting complaint is exertional dyspnea and pulmonary hypertension should always be thought about if an alternative diagnosis does not explain the patient’s presentation (1). Although a definitive diagnosis of PH requires right heart catheterization, there are several ways ED providers can assess for its presence. Definitive treatment of pulmonary hypertension usually involves treating the underlying causes. This includes diuretics for left heart failure, bronchodilators and steroids for lung diseases, thrombolysis for pulmonary emboli, etc. Appropriate consultations with cardiologists, pulmonologists and other specialists is also emergently indicated for further management. (1,2,3) In the meantime, there are certain things that emergency department providers must do to resuscitate and stabilize the patient in front of them. 3. Use passive leg raise maneuver and assess for changes in blood pressure and heart rate (this stimulates giving a bolus and can be rapidly reversed by lowering the legs). Systemic vasopressors can help prevent the downward spiral of RV failure several ways. Increasing left ventricular afterload can decrease interventricular septum bowing into the LV, increasing cardiac output. Vasopressors also assist in maintaining coronary perfusion to the right ventricle, decreasing effects of ischemia. Although literature is very scant comparing the variety of pressors available, certain pressors have advantages over others in treating pulmonary hypertension. Pulmonary vasodilators are the only medications that directly reverse the symptom-causing pathology. These are very useful in patients with idiopathic pulmonary hypertension (Category 1) and must be quickly given if a patient is on an IV pump of these medications that has malfunctioned. Inhaled preparations of these medications are also very effective at delivery the medication to highly ventilated portions of the lung, causing local vasodilation and improving V/Q mismatch. Below is a table that lists the categories of pulmonary vasodilators and their potential uses in emergencies. Therefore try to avoid intubating these patients. If respiratory support is needed, first try NIPPV. This avoids the adverse effect of eliminating the patient’s innate catecholamine surge. In addition, the NIPPV can be removed rapidly if the patient begins to deteriorate. (1) If a patient needs to be intubated, following these guidelines can increase your chance of success. 1. Place an arterial line prior to intubation in order to quickly assess any hemodynamic changes and respond appropriately. 3. Avoid hypercarbia -> induce respiratory alkalosis prior to intubation (4). Hypercarbia worsens pulmonary vasoconstriction. 4. Consider performing awake intubation. 4. Lahm T, McCaslin CA, Wozniak TC, et al. Medical and surgical treatment of acute right ventricular failure. J Am Coll Cardiol. 2010;56:1435-1446. 6. Ternacle J, Gallet R, Mekontso-Dessap A et al. Diuretics in normotensive patients with acute pulmonary embolism and right ventricular dilatation. Circ J 2013;77:2612–2618. 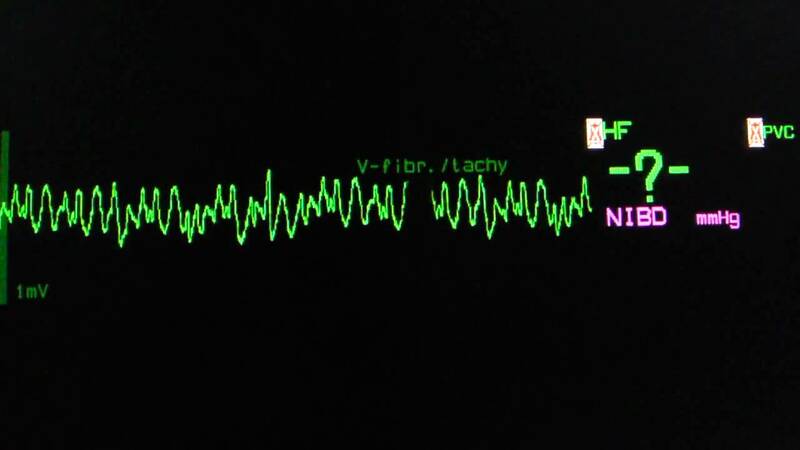 Ventricular fibrillation (VF) is the most common initial dysrhythmia after out-of-hospital cardiac arrest(OHCA) occurring in approximately 70 % of the cases. VF is also considered the rhythm with the highest likelihood of neurologically intact survival (1). Unfortunately, there is a subset of patients who do not respond to standard ACLS algorithm for VF and are termed to have refractory ventricular fibrillation (RVF). What is refractory ventricular fibrillation? The exact definition of RVF is subject of debate. However, the literature in the past has used persistent VF without response to at least five single defibrillations (including AED) as the definition of RVF. One intervention that has been reported to terminate RVF is double sequential defibrillation (DSD). What factors affect successful defibrillation? Successful defibrillation depends on several variables, including pad placement, total energy used, length of stay in VF, and patient’s body habitus (2). Zhang et al. demonstrated in swine models that body mass had inverse relationship with the success of defibrillation (3). Other studies have shown lower success rates in cardioversion of atrial fibrillation in patients with BMI >25 (4). The amount of energy is also an important factor in successful defibrillation. Although there are concerns that higher energy may result in myocardial injury or chest wall trauma, several studies have shown safety of high energy defibrillation in humans. For example, Stiell et al. found no deleteriouseffects of biphasic defibrillation up to 360 J (5). Multiple other studies have found no deleterious effects in subjects cardioverted for atrial fibrillation with energy levels of up to 720 J monophasic. What is Double Sequential Defibrillation? Double sequential external defibrillation refers to the use of two simultaneous defibrillator pads to deliver the shock. In addition, to increased energy, another theory behind this set-up is that the addition of a second pair of defibrillator pads allows for two alternative vectors of energy delivered to fibrillating myocytes. This allows the energy to overcome limiting factors, such as poorly placed electrodes and the air in the lungs, which otherwise divert the vectors from fibrillating myocardium.(6). Yet another theory postulates that the first defibrillation serves to lower the threshold for successful shock with the second defibrillation (7). How should the pads be positioned? There is no clear evidence on which pad placement is ideal. Two sets of pads can be placed in anterior-posterior (AP) orientation, antero-lateral (AL) or AP/AL orientation. The first report of DSD in VF patient was described in 1994 by Hoch et al. in the electrophysiology literature (8). This case series paper described 5 patients with WPW or other cardiomyopathies undergoing routine studies in the electrophysiology lab. All five subjects had VF intentionally induced as part of their evaluation. In this study, patients failed to convert to normal sinus rhythm with monophasic energies ranging from 200-360 J, but all of them responded to double shock with a total of 720 J. However, until recently there has been paucity of data (limited mostly to case reports) supporting the use of DSD in the Emergency Department or OHCA. One recent paper in Resuscitation by Cortez et. Al from August 2016 shows promising evidence for the use of DSD for RVF in OHCA (9). In this retrospective chart review, 2428 OHCA events were reviewed with 12 patients treated with DSD. Nine patients out of twelve were successfully converted out of ventricular fibrillation. Of the patients treated with DSD, three patients survived to hospital discharge with good neurologic function. Also important to note is that the median time to DSD was 27 minutes in the above study. This is significantly shorter than reported values in other papers. This may mean that DSD maybe more effective when incorporated earlier in resuscitation efforts of VF arrest. Although the above paper provides promising evidence for DSD it has several important limitations including small sample size and retrospective case series nature of the study. Unfortunately, to date there are no double blind randomized control studies on DSD to determine its efficacy. Management of RFV remains challenging and when standard ACLS measures have failed DSD may be another tool that can be utilized to achieve ROSC in RVF patients. 3 Zhang Y, Clark CB, Davies LR, Karlsson G, Zimmerman MB, Kerber R. Body weight is a predictor of biphasic shock success for low energy thranthorasic defibrillation. Resuscitation 2002; 54:281-7. 9 Cortez E et al. Use of Double Sequential External Defibrillation for Refractory Ventricular Fibrillation During Out-of-Hospital Cardiac Arrest. Resuscitation 2016. S0300-9572(16): 30398 – 7. Can higher MAPs in chronic hypertensives prove beneficial and reduce renal replacement therapy? This article discusses the use of dabigatran and Xa inhibitors for a.fib, DVT/PE and stroke prevention. They discuss the efficacy of each medication, the benefits/adverse effects as compared to warfarin and potential reversal agents. There is also a brief discussion of different froms of prothrombin complex concentrate (PCC) which I think warrants a look at due to some confusion as to what PCC is, how many factors it has and its usefulness. Try your hand at figuring out the diagnosis in this case of an elderly woman presenting with altered mental status! So this article was published in Circulation in 2006 in corroboration between AHA, ACC, and European Society of Cardiology and is pretty authoritative. I am aware it is quite extensive and don't expect or think that many of you will read the whole thing; this is why I put a few bullet points on management of monomorphic V. Tach.